Home » FittleBlog » Head to the Gap… as the kids say! Head to the Gap… as the kids say! No not for the latest fashion with holes ripped out of your jeans, but the GAP between what people have and what they want in life. 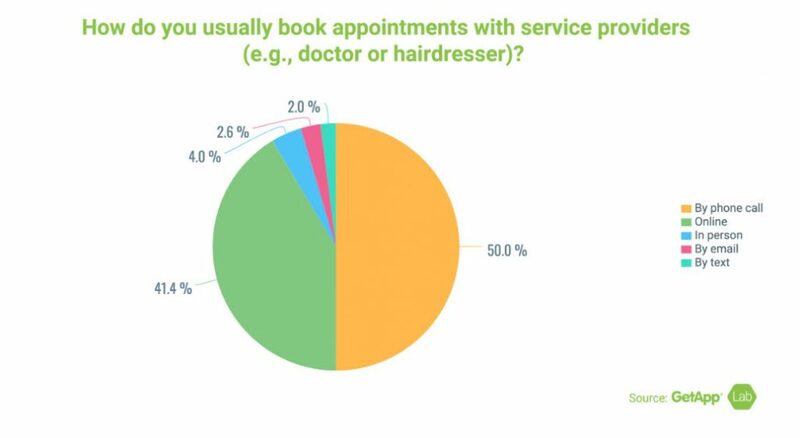 Although I believe the study to be many different service provider industries, I do believe that their results apply to many – including home services and carpet cleaning. 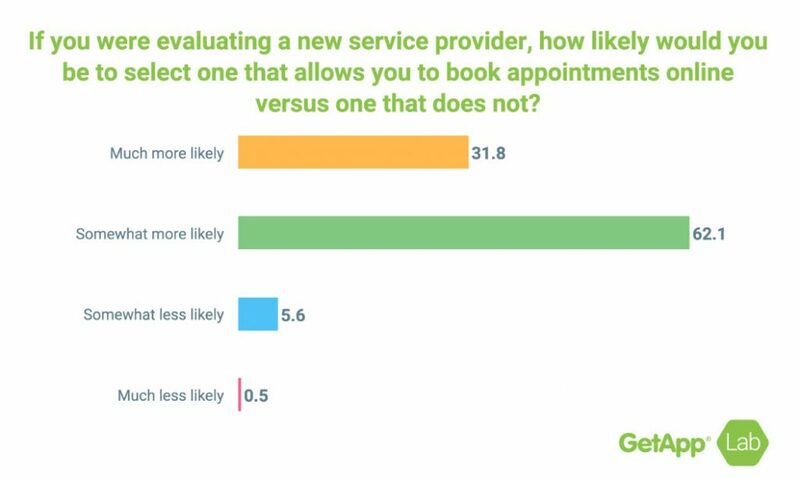 HERE’S THE GAP – Currently 41% of the consumers polled in this study currently book online for service providers, BUT (as the last chart shows us), 69.8% would prefer to book online. This almost 29% gap is what I call HUGE OPPORTUNITY. In the movie “Field of Dreams” they suggested that if you build it they will come! COME, hell, they’re on your front door knocking telling you how they want to work with you and about a third of them can’t get you to open it. One other interesting statistic I realized was in the last chart… In evaluating a NEW service provider, how likely is that you would choose one based on whether they had online booking or not? 93.9% said they were much more likely or more likely to choose a service provider that offered online booking! What part of that stat makes your jaw drop? 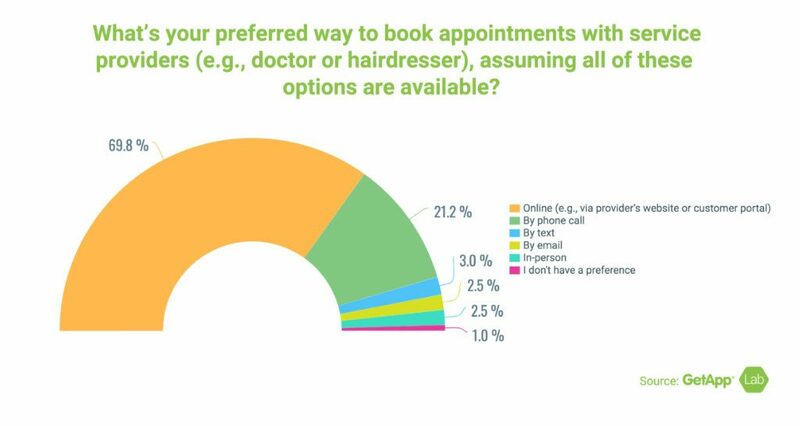 Finally – Don’t be confused, there are all kinds of sources that offer online booking. 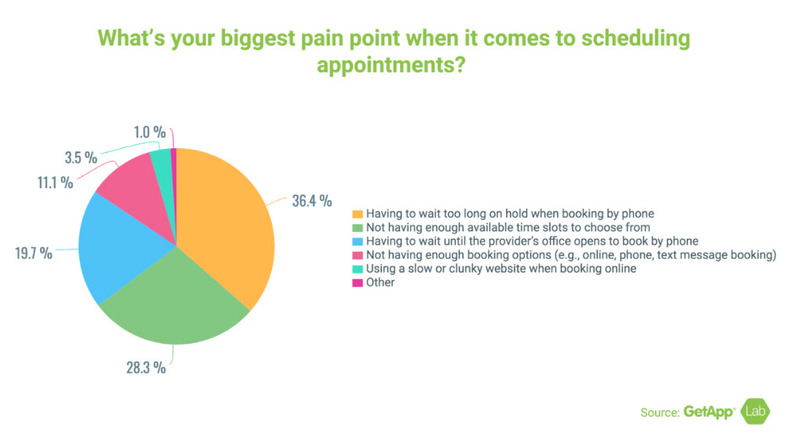 BUT, are they really online booking or a web form that people fill out and wait for the return call; or worse yet think that their service request that should take 5 hours to do can be squeezed into a 2 hour window and the bad news will come when they can’t leave the house to take their daughter to ballet classes because you told them it would only take 2 hours. Not mentioned the person booked right behind them that has been waiting for you for the last 3 hours! Because it just makes sense! based on your time – Anytime!